Run Or Walk Leeds 10km With Leeds Rhinos Jamie Peacock! With eight Super League trophies, two World Club Challenge Cups and one Man of Steel Award to his name, Jamie Peacock is one of the most coveted players in Rugby League history. 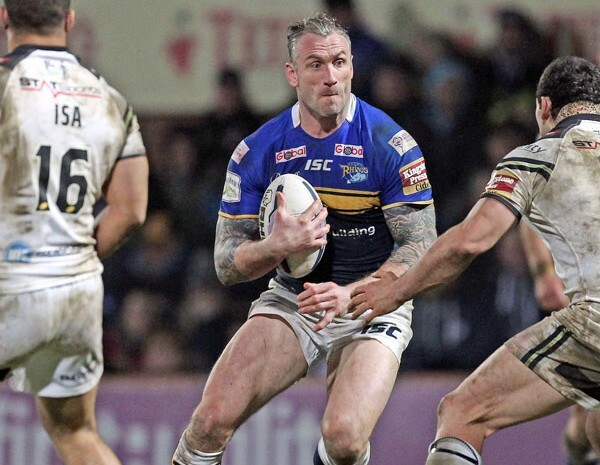 As he moves onto his testimonial year with the club, Jamie is urging fans to take part in the ASDA Foundation Leeds 10K to raise funds for the Jane Tomlinson Appeal and Leeds Rhinos Foundation. For the last six years, the Leeds Rhinos have invited supporters to challenge themselves and have fun by taking on the popular course. This year, Jamie will be walking the event with his family, taking in the unique atmosphere and cheering on the ‘Run/ Walk with the Rhinos’ team. As well as the opportunity to take part with Jamie, a number of other familiar faces will be racing in 2015 including Barrie Mcdermott, CEO Gary Hetherington and our own Ronnie the Rhino! All participants on the day are invited to a pre- race training session with first team strength and conditioning coach and a post event celebratory ‘Finishers Breakfast’ to reward their achievement!